The gemstones I use are sourced from companies who are members of the BJA (British Jewellers Association) so you can be assured the gemstones are genuine. 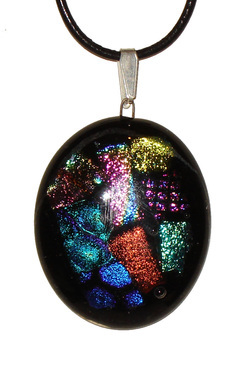 Dichroic glass is a multi-layer coating of quartz crystal and metal oxides. Some colours have as many as 30 layers of these materials yet the thickness of the total coating is approximately 35 millionth of an inch. Coatings are created using the same exact materials originally created for the aerospace industry and is the most expensive type of glass available today.The main characteristic of dichroic glass is that it has a transmitted colour and a completely different 'reflective' colour. These two colours shift depending on angle of view and light. My pendants come with a black leather cord. 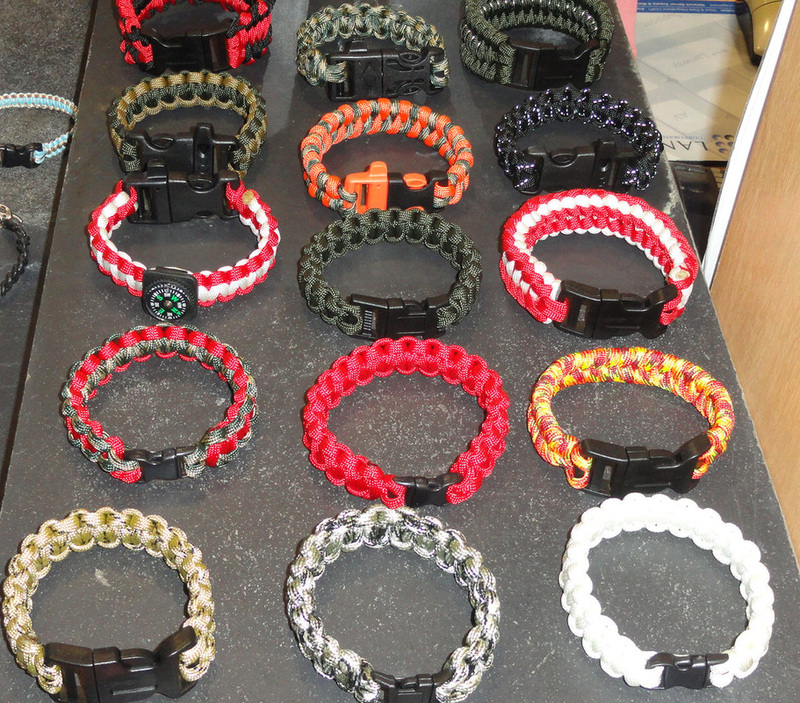 All the cords have toggle clasps and are very easy to put on. The bails on my pendant are different and integral to my designs! Wire is fused into the pendant and a bail is attached to the wire. This makes the bail very durable and secure. If you have any queries or wish me to make something for you please contact me.